CHICAGO -- Kirk Cousins and the Washington Redskins figured they had to get a road win somewhere to have a chance of winning their division. They found what they were looking for in Chicago, thanks to another late miss by Robbie Gould. 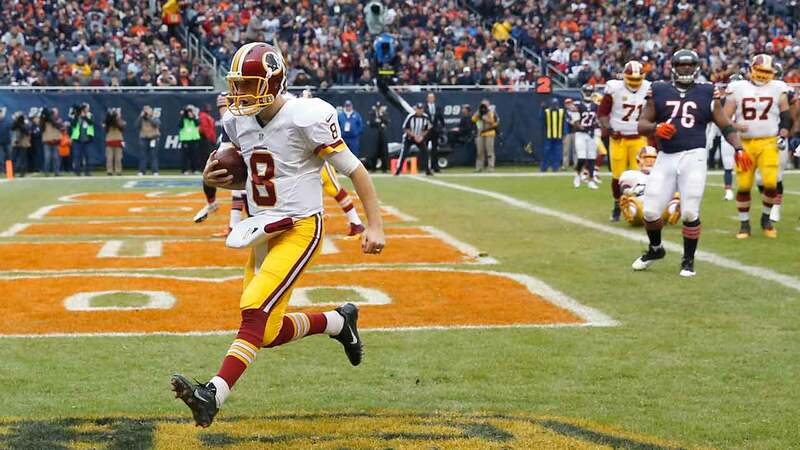 Cousins threw for 300 yards and a touchdown on Sunday, and the Redskins hung on for a 24-21 victory over the Bears after Gould missed a 50-yard field goal. Washington (6-7), which came in tied with Philadelphia and the New York Giants for the NFC East lead, went ahead by three early in the fourth quarter on Dustin Hopkins' 47-yard field goal. It stopped a nine-game road losing streak dating to last season. The Bears (5-8) were in position to score after Jay Cutler hit Alshon Jeffery with a 50-yard pass that put the ball on the Washington 35. The usually reliable Gould, who missed the potential winner at the end of regulation in last week's overtime loss to San Francisco, got a chance to redeem himself. But his 50-yard attempt sailed wide right, giving Chicago its second straight loss. Cousins completed 24 of 31 passes. Jordan Reed had 120 yards receiving and a touchdown. Alfred Morris ran for a TD, and the Redskins picked up their first road win since they beat Dallas on Oct. 27, 2014. The Bears showed some spark after a sluggish start, but came up short once again in yet another home loss. After their playoff hopes were all but dashed in last week's overtime loss to San Francisco, they fell to 1-6 at Soldier Field. Jay Cutler threw for 315 yards and two touchdowns after a gut-wrenching week for his family. A body believed to be that of his brother-in-law Michael Cavallari was discovered Thursday in southern Utah. Cutler is married to reality TV personality Kristin Cavallari. Jeffery caught six passes for 107 yards and a touchdown. Zach Miller added 85 yards receiving and a TD, and Matt Forte ran for the tying score in the third quarter. Washington grabbed a 21-7 lead early in the third quarter when Cousins fired a 5-yard strike to Reed, capping a 10-play drive. But in a flash, the Bears tied it. They drove 80 yards for their first third-quarter touchdown of the season, with Cutler connecting with Miller from the 9. Kyle Fuller stepped in front of what appeared to be an underthrown pass by Cousins at the Washington 30 and returned it to the 21. Forte then scored on a 7-yard run to tie it with 1:24 remaining, a scenario that seemed far-fetched the way the game started. The Redskins scored touchdowns on their first two possessions an unusually warm but soggy 62-degree afternoon. Morris plowed into the end zone after Reed got stopped about a foot short on a reception on the game's first possession, and the Redskins added to their lead early in the second quarter when Cousins ran it in from the 3 after a fake handoff. The Bears showed little spark until late in the half, when Cutler hit Jeffery on a terrific back-shoulder pass for a 20-yard touchdown that cut it 14-7 with 18 seconds left.